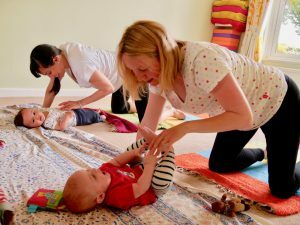 Mums can start these classes as soon as they feel ready to get out and about with their baby/babies (twins are welcome). 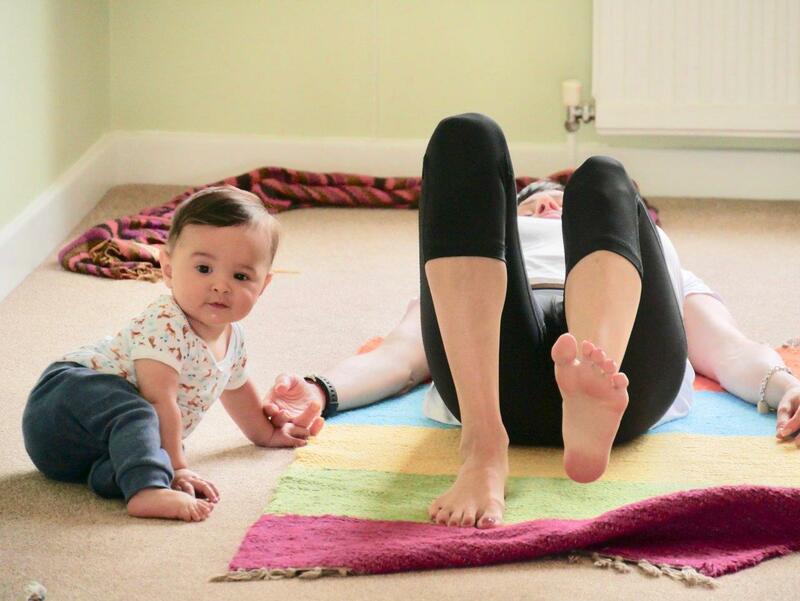 The general rule is ‘start when baby is 6 weeks’ but I believe the sooner mum starts restorative postnatal exercises the better her recovery. These classes concentrate on working with the pelvic floor muscles, strengthening the abdominal muscles, repairing any muscle separation, breathing, easing tension, pains in the wrists, shoulders, neck and back, coccyx etc. 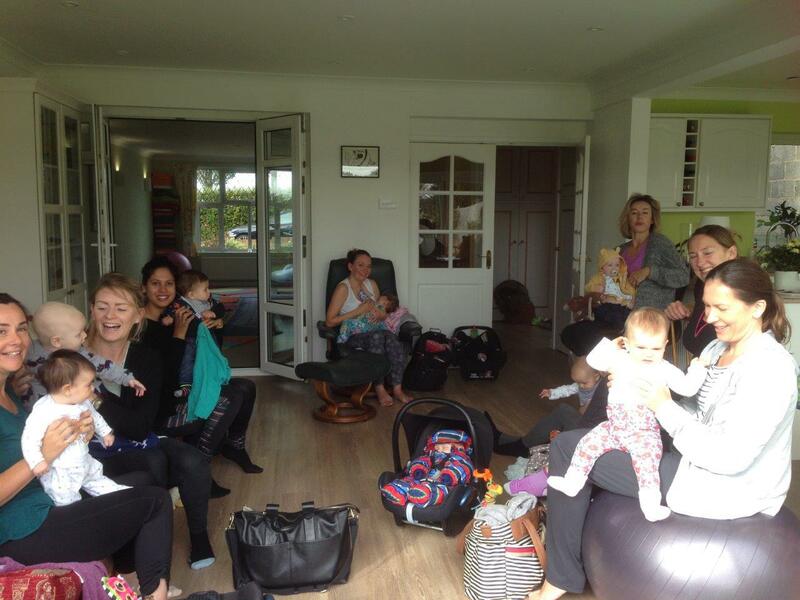 These are very supportive classes where mums can arrive 30 minutes before class to feed, change, meet and chat. There is free on-street parking and a secure covered space for buggies & prams. Mats, blocks, blankets and toys for the babies. Mums should wear comfortable loose clothing and bring a muslin or blanket for baby to lie on. The flooring is carpet. 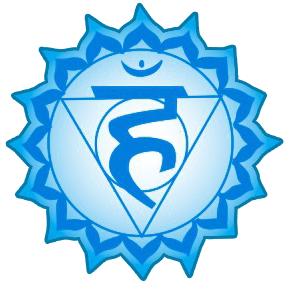 The structure of the class is relaxed and baby’s needs (feeding, changing, sleeping) are given priority and are the responsibility of the mother. 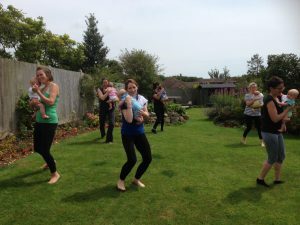 The classes start with 30-40 minutes of important breathwork and postnatal yoga for the mums and the latter half is spent combining singing rhymes with stretches for the babies at the same time the mums continue to exercise. 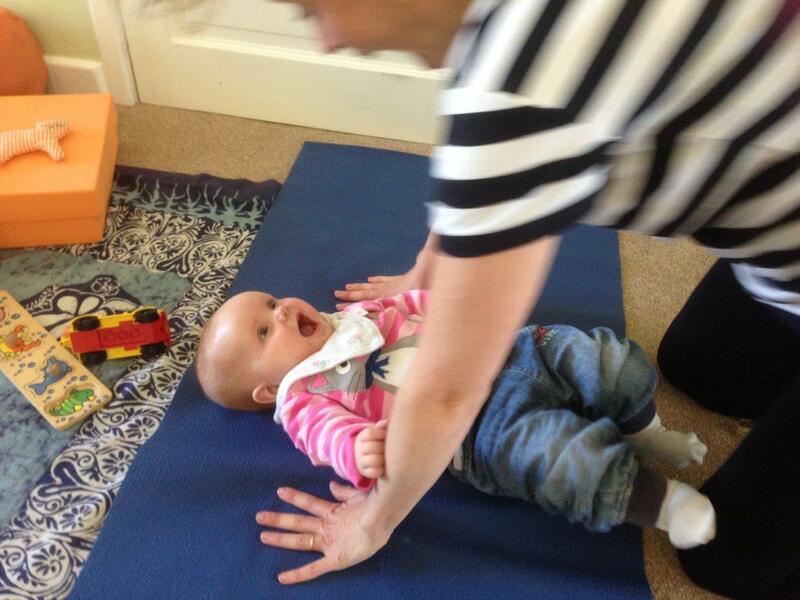 All classes finish with a guided relaxation and usually achieve silence and some peaceful mums and sleeping babies! 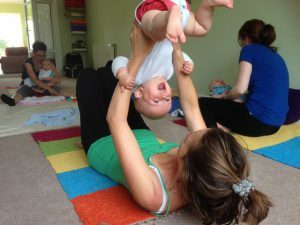 Everything taught in class can be used to enhance the time spent with baby at home. Mums meet before class in my garden room before moving into the studio. They often go to nearby Hove Park Cafe for lunch after class. Long-term friendships blossom from this class.